I do not make many dolls, however it is one of my favourite things to make! This is Violet, she is my 4th handmade doll. 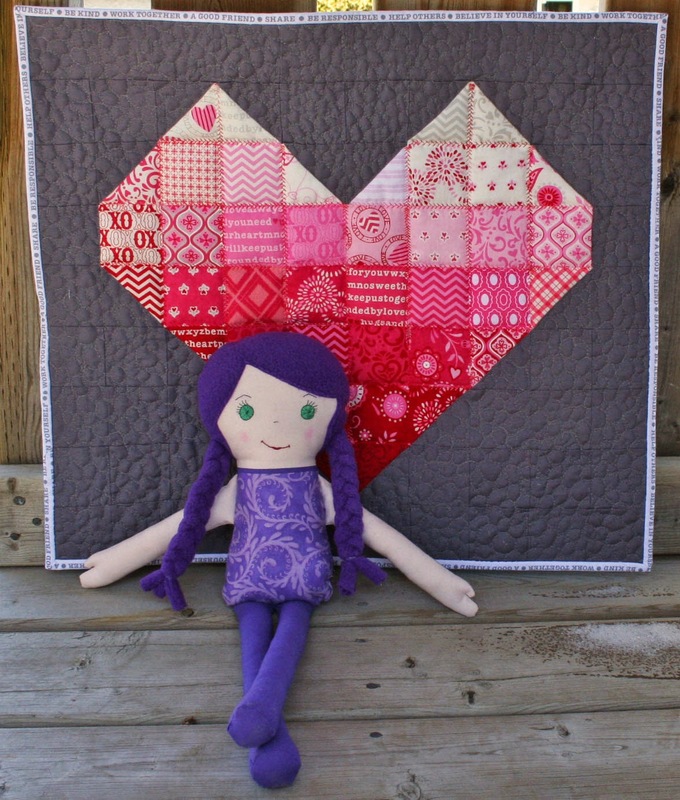 She was inspired by Sew, Mama, Sew softies contest. Any excuse to make a doll. I hand embroidered her face, I mark the placement roughly with a pencil, then free hand stitch the details. The rosy cheeks are coloured on with crayon. Violet has a hand knit sweater, with buttons to match her eyes, under her sweater is a dress, which pulls together her green eyes and purple hair. However, if she decides to go without clothing she is still ready to go anywhere. Here she is with her sisters. The one on the right is Candy Cane. Unfortunately, the one in the middle remains nameless.